The Gryphon is named after its mythical namesake, a creature with the body and rear legs of a lion and the head, wings and front talons of an eagle. The gryphon was revered for its depiction of both strength and speed, and is the heraldic symbol used on the provincial flag in Skane, where the Koenigsegg factory is located. The Agera RS Gryphon has been ordered with the optional 1MW engine, taking Koenigsegg’s V8 twin-turbocharged engine to a staggering 1360hp. 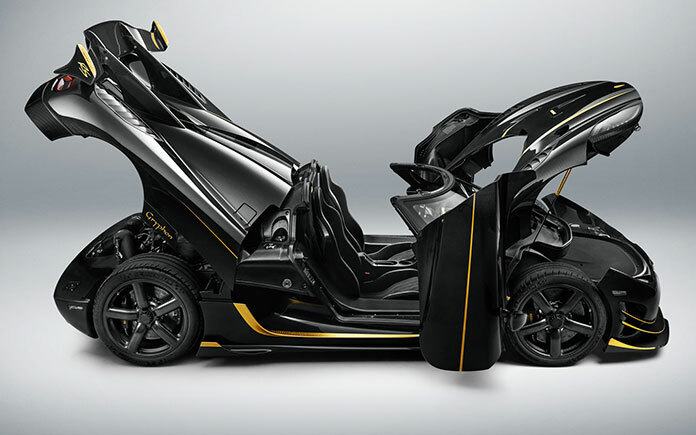 With a curb weight, including fluids, of just 1,395kg, the Agera RS Gryphon is within a hair of the magical 1:1 power to weight ratio, previously only achieved by the Koenigsegg One:1 – truly rarified air.